Postal workers will still be paid when the service defaults on a retiree health plan payment Sunday, but the service might run out of cash next spring. At the end of this month, the U.S. Postal Service takes another step toward insolvency. On Sunday, the service is required by law to pay the federal government $5.6 billion to fund health care benefits for retirees. But it won't do it, because it doesn't have the money. It will be the second time that the service has defaulted on a payment, the first occurring on Aug. 1. For the time being, the default means little. "This default will have no effect on the processing or delivery of mail, and employees and suppliers will continue to be paid," said David Partenheimer, a spokesman for the Postal Service. But if Congress does nothing, come next spring, the Postal Service will truly start running out of cash. That means the agency may not have enough to pay mail carriers and subcontractors, which could mean drastic cuts to the mail delivery system -- postal service Armageddon. The financial crunch is due to a law passed in 2006 that only Congress can fix. Congress ordered the prefunding of retiree benefits, as a way of easing federal deficits. Neither of the bills moving through Congress completely undo that mandate -- they just prolong or delay it. But unions, in particular, blame Congress and the prefunding mandate for the default, which they call "bogus" and "manufactured." They want Congress to repeal the mandate. "This 'default' is not a crisis. 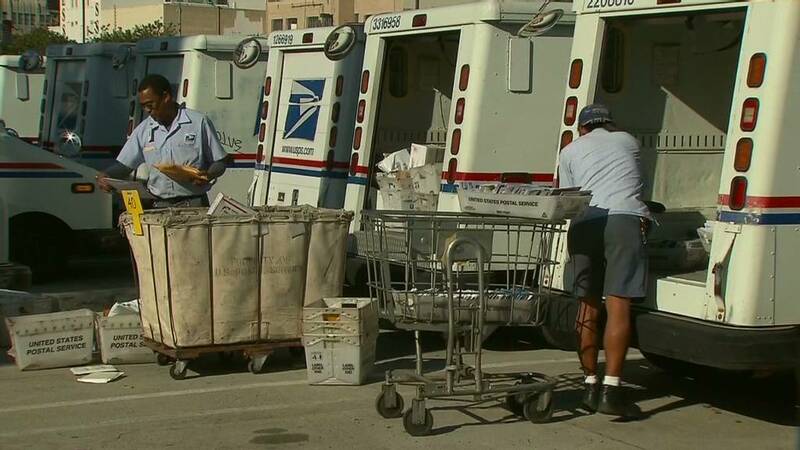 The Postal Service already has set aside $45 billion for future retiree health benefits -- more than any other organization in America and enough to pay for decades of future retiree healthcare," said National Association of Letter Carriers President Fredric Rolando. "The payment in question results from an unnecessary congressional mandate -- an obligation not required of any other company or agency in the country." Congress has made it clear that it won't help the Postal Service until after the Nov. 6 elections, at the earliest. The Senate passed a bill to help the postal service earlier this year. But the House has yet to consider a measure drafted by Rep. Darrell Issa, a California Republican, that has only gone through a committee and greatly differs from the Senate version. "Come Sept. 30, the Postal Service will be forced to default again -- further eroding confidence in its future and in Congress' ability to provide it with the reforms it needs to save itself," said Tom Carper, a Delaware Democrat who is one of the authors of the Senate bill. He urged the House to pass a bill to "help achieve our shared goal of preserving the Postal Service for future generations." In a possible sign of cooperation to come, Issa sent a letter to President Obama earlier this month, asking him to consider certain key provisions to help the Postal Service. They including some provisions in the Senate bill, such as temporary relief from the mandate to prepay retiree benefits. After the default, the Postal Service will be paying close attention to cash coming in from the mail due to the campaign election cycle. The service might run out of cash by mid-October for a few days or weeks before the holiday mail delivery rush picks up, according to an August report by the agency's Office of Inspector General. The Postal Service has a back-up plan to make sure mail gets delivered on time in the event of a cash crunch, including skipping part of a $1.4 billion payment due to the Department of Labor to fund workers' compensation benefits. So far, the Postal Service is expected to make that payment, Partenheimer said. Correction: An earlier version of this article incorrectly stated that the law affecting the Postal Service was passed in 2007. In fact, it was passed in 2006 and took effect in 2007.